Freakin' Hip Hip Hooray! 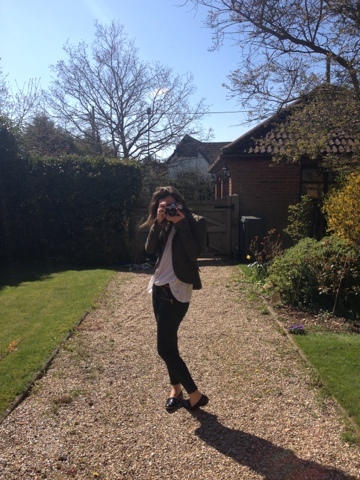 I embraced this opportunity to grab some photos of my spidery-legged sister for my wall display (you shall see!) 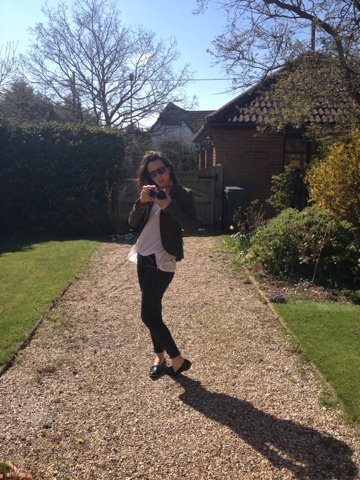 and to get her to snap some shots of me! 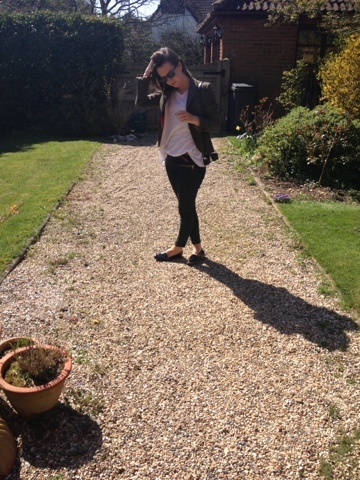 So, really this post should be titled 'golden oldies,' because everything I am wearing is at least 2 years old (minus the sunglasses that are courtesy of Miss Houghton and the shoes!). I love pieces that are timeless, and casual wear can be that so easily. 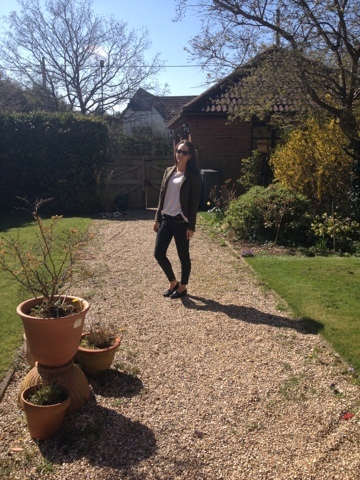 a pub lunch is definitely on the cards so I thought this would be the best outfit to go for! As you can see the front garden has been rather neglected over the Winter, my mother will be on that today like nobodies business, she's got such a green thumb. I, on the other hand, could not think of anything worse! Let me know what you're doing in the sun today, if you have sun, if not hold tight, it's coming your way soon...I hope!